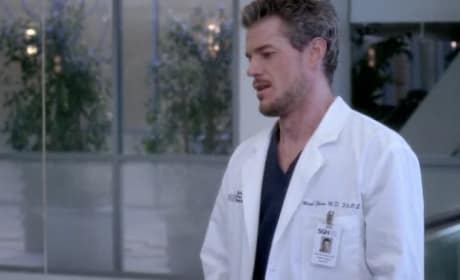 Izzie Stevens' tests came back with the wrong diagnosis, thanks to the moronic intern's misfiling of the results. Now we are left wondering what the heck is actually wrong with her. 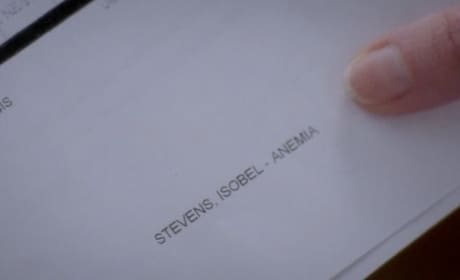 Izzie Stevens is not anemic. One of the interns mislabeled her tests and gave some other patient cancer. Mark finally admits this fact, and ends up getting punched. 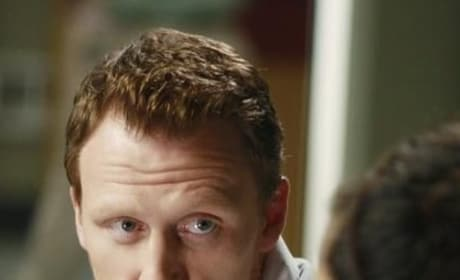 Possibly a bit of an overreaction on Derek's part. 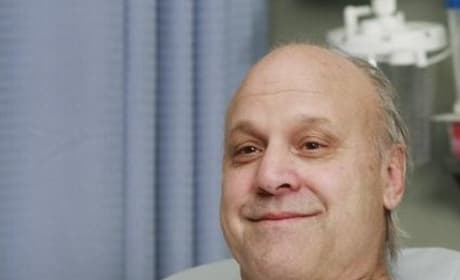 Is it grim, or will this patient be saved? We'll find out soon enough in "An Honest Mistake." 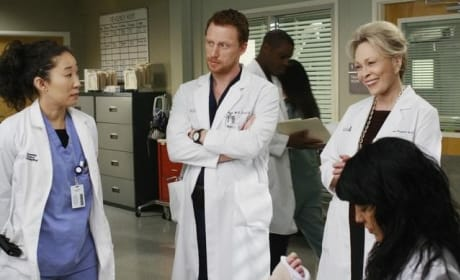 Cristina, Owen and Izzie in a picture from "An Honest Mistake" from the fifth season of Grey's Anatomy. 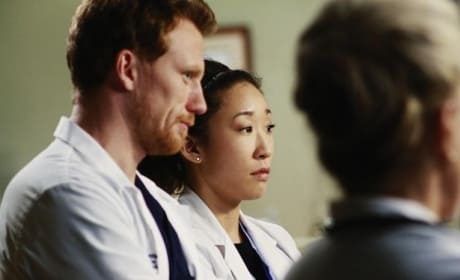 Okay, that nickname for Cristina Yang and Owen Hunt doesn't really work. Do they even need a nickname? They're pretty awesome as is. 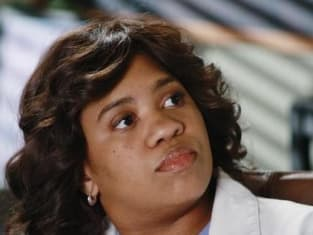 Dr. Calliope "Callie" Torres (Sara Ramirez) has emerged as a central character on Grey's Anatomy - and a focal point of many of its most controversial relationships. 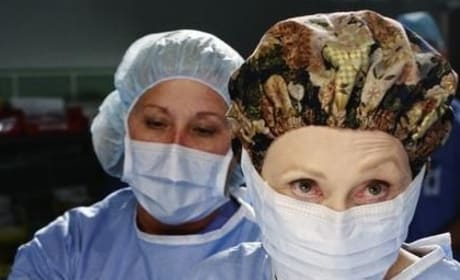 The surgeons of Seattle Grace operate in "An Honest Mistake" from the fifth season of Grey's Anatomy. 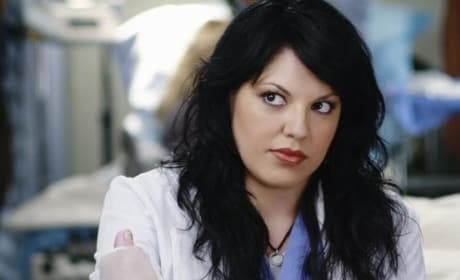 Dr. Callie Torres (Sara Ramirez) has some great hair ... and some great romantic drama in store for us week in and week out. Who knows what - or who - she's going to do next! 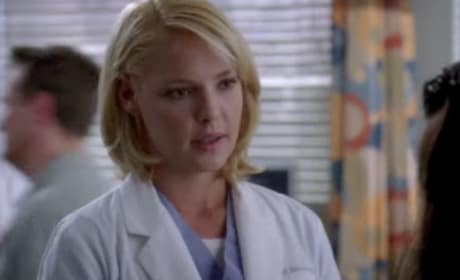 Is Izzie Stevens living on borrowed time at Seattle Grace? If not, she sure has an interesting story line going ... one wonders how she can / will bounce back from this one. 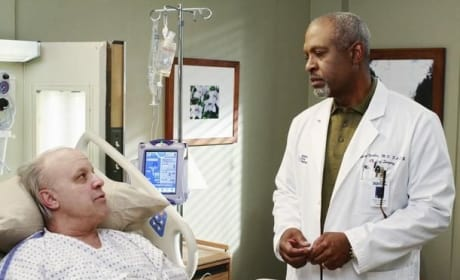 A patient looks to Richard and the Seattle Grace staff for treatment - leading to more drama than they had in mind. Dr. Hunt is a dashing, albeit confounding, individual, and the facial hair only adds to the appeal in the eyes of many.